Amy Helene Forss has a PhD in African American history and teaches at Metropolitan Community College in Omaha, Nebraska. Her work has appeared in journals such as Nebraska History and Great Plains Quarterly. She is the author of Black Print with a White Carnation: Mildred Brown and the Omaha Star Newspaper, 1938-1989. It started with a tap on the shoulder. Looking behind me, I saw an Omaha Public School librarian; she was smiling and saying, “Excuse me.” I glanced down and noticed a copy of my book, Black Print with a White Carnation: Mildred Brown and the Omaha Star Newspaper, 1938-1989 in her hand. Nodding her head up and down, the gray-haired woman said, “I like your book. It’s terrific. But children need to know what Mrs. Brown did too.” Somewhere between taking a breath and replying in the affirmative, I decided I would indeed write a non-fiction children’s version. I would title it Ice Cream for Everyone! The Scoop on Mildred D. Brown. My project has become a need. It was similar to the need pushing me to write the first Mildred Brown book. Now I need to introduce Brown to children; not just in the Omaha community but nationally. They don’t know her. Brown isn’t on Black History Month’s list. But she is deserving of a calendar space. 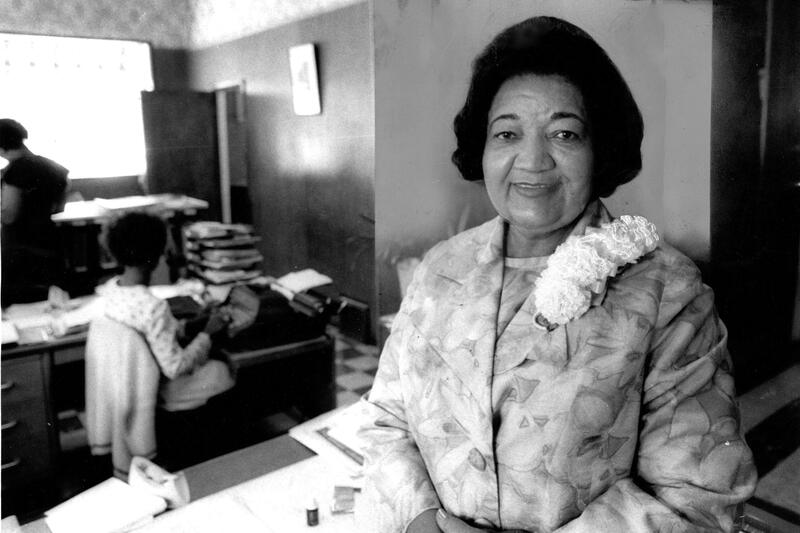 She unified the black neighborhood and fought against unfair discrimination practices in Omaha. It was the type of 1930s American city where you could sit anywhere on the bus but people would not sit near you. What Brown did for Omaha’s Near North Side makes her deserving of not one book but two. Mildred Brown Omaha Star weekly newspaper Aug. 13, 1973. Copyright 2012, Omaha World-Herald. All rights reserved. I started my children’s book adventure by talking with one of Metropolitan Community College’s textbook representatives. She offered to see if anyone in the company could help me. A few days later a senior editor emailed and introduced me to a literary agent. I was in awe of the agent’s New York City office address. We talked on the phone, communicated by email and months later the agent agreed with me: Brown needed a children’s book. The agent said she wasn’t the right person for it. I understood. I knew publishers didn’t usually speak with authors, they prefer to speak with agents. I didn’t have an agent, but, I needed to write her story, again. Children, as well as adults, need to read her story to learn about her incredible life and that’s just what I hope will happen.